Stop losing money stripping and waxing! We regularly get customers asking for a more permanet vinyl floor sealer. 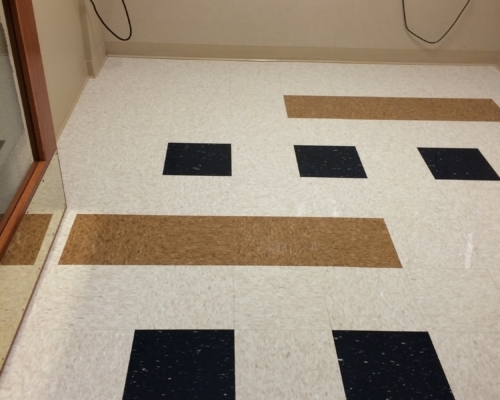 Typically they are spending $1,500 to $2,000 per month maintaining their floors. When we deal with large facilities like hospitals, schools and superstores you’re talking $100,000 plus every year! Add in the labor time spent cleaning floors that could be utilized on other work and the true cost is even greater. 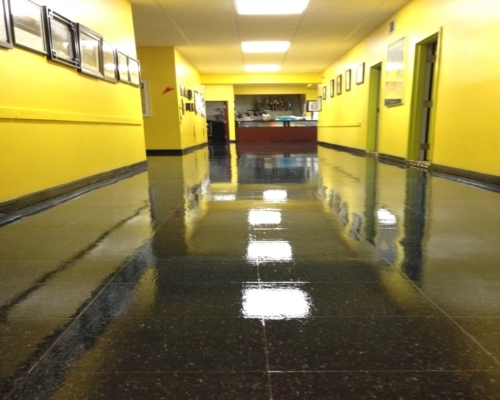 A 2 part highly durable water based polyurethane sealer use to replace traditional wax and acrylic floor finishes. 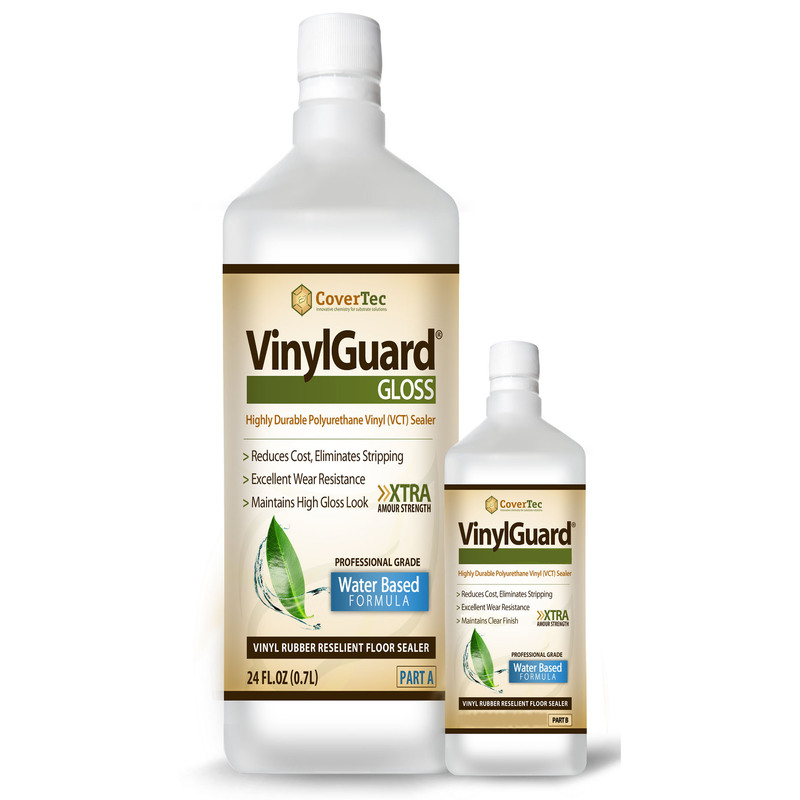 Used on vinyl (VCT) and terrazzo floors, VinylGuard is extremely resistant to abrasion, scratching and marring. The product is applied in a single coat and typically maintains a high gloss, finish for over 24 months in mid to high traffic areas. VinylGuard can be used to coat all types of resilient flooring including linoleum, marmolium, vinyl plank, LVT and epoxy and cement terrazzo. 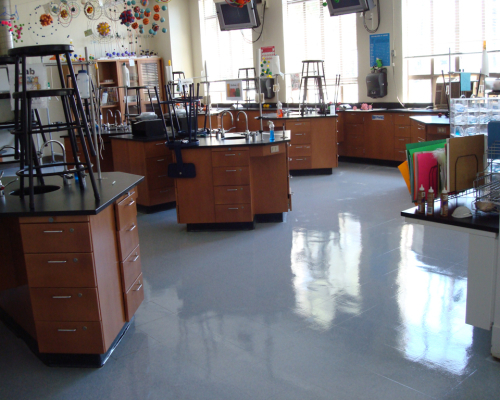 CoverTec offers the complete vinyl floor sealer solution. VinylGuard is available in High Gloss, Satin and Matte finish, all options are water clear, UV resistance, abrasion and slip resistant. These products can typically be walked on in 12 hours. 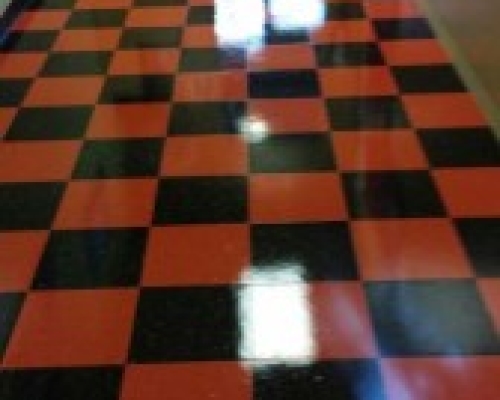 A 1 part fast drying; low maintenance floor sealer developed for Vinyl Composition Tile (VCT) and Terrazzo floors. VS1 produces a tough high gloss durable surface that is resistant alcohol and cleaning chemicals. VS1 fast dry sealer is excellent for use in hospital and grocery store settings where down time is an issue. The product is odorless and typically applied in 2 coats over existing floor finish or 3 to 4 coats over a fully stripped surface or brand new vinyl tile. VS1 can also be used to coat, natural stone, linoleum and concrete. Dry time for light foot traffic is 45 minutes and heavy traffic is 2 hours. We know that these costs are driving business owners and facility mangers crazy! Many of you are out there on line looking for a solution. Using the CoverTec floor care technology provides huge savings in maintenance costs! The good news is that there is new technology out there. Proven technology that can cut costs by 40% or more. Save on labor, save on materials and save energy. You can do this all and get better results. 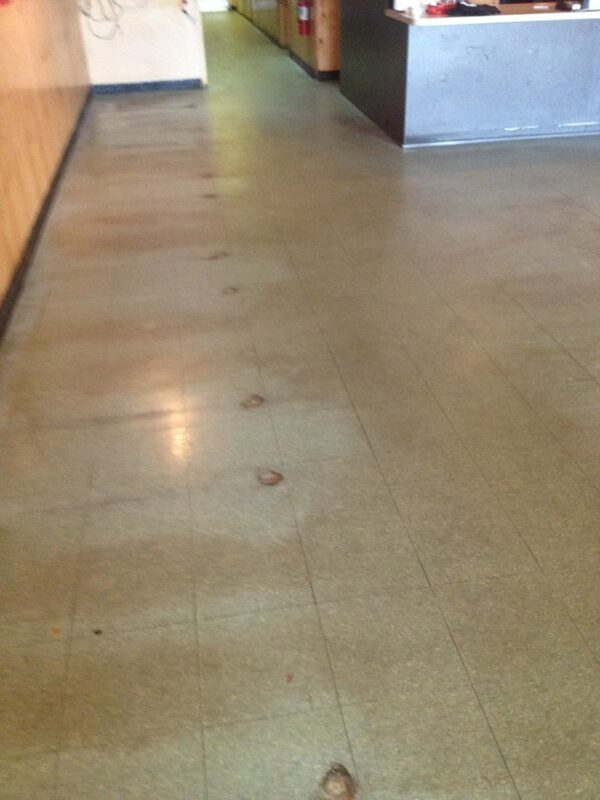 The key questions we ask our customers, is why are they stripping the floors? Is the wax worn out and badly scratched? or are they stripping to remove dirt, discoloration embedded dirt? If the real problem is dirt and discoloration then we recommend our SurfaceTreat cleaner. 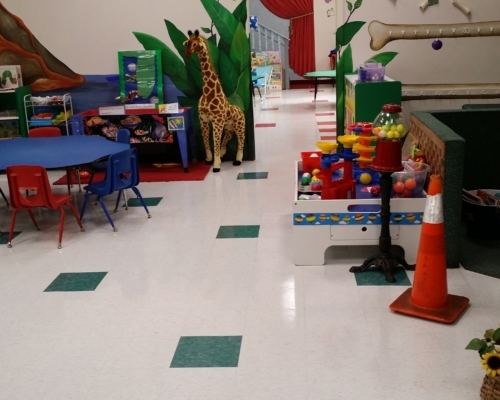 SurfaceTreat was created to eliminate floor stripping. This unique product penetrates, suspends and removes dirt without removing coating /finish. SurfaceTreat opens the floor finish and cleans up to 4 layers deep. This technology comes from the pharmaceutical and skin care industry and is really quite revolutionary when applied to floor finish. For even better results clean your existing floors with SurfaceTreat and then apply 2 coats of CoverShield VS1 floor sealer. This will you get the equivalent of striping and applying 5 to 6 cots of wax in half the time and a much lower cost! If the floor finish is badly scratched and worn then we would recommend completely stripping the floor using FloorStrip HP and the applying a durable long lasting sealer as opposed to conventional floor wax. Slip and fall injuries continue to be a leading source of general liability claims in the USA. Slip and fall related injuries can result in hefty payouts to injured parties, lost profitability and increased liability insurance premiums. 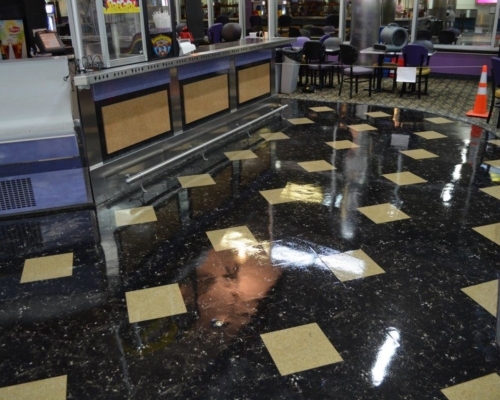 VinylGuard is a High Traction, High Slip Resistance Vinyl Floor Sealer, exceeding traditional wax and acrylic finishes (wet or dry) and meeting and exceeding ADA standards. VinylGuard has been independently tested by the Nation Floor Safety Institute (NFSI) and has a Wet SCOF of > 0.60 for wet walkway surfaces. Simply put, you can lower your slip and fall injury risk and control walkway slip resistance using the VinylGuard vinyl floor sealer system. CoverTec floor care technolgy are all Green Products, with very low odor and VOC’s and are eligible for LEED EQ4.2. Our products meet the standards of the US Green Building Council and can be safely used in School, Hospitals, Grocery Stores and Restaurants areand all other public facilities. Using our products to maintain your floors results in a significant reduction stripper sludge, lower stripper and cleaning chemical usage. Electricity, water usage, and dust generation are also significantly reduced. Abrasion resistant water resistant polyurethane sealer for VCT, Terrazzo and Rubber Tile floors. Deep Cleaner and Gloss Protector for Floors. Cleans and enhances finish without the need to strip floor finish. Fast Set UV and wear resistant single component sealer for VCT, Terrazzo and Concrete floors. Labor saving high performance floor finish stripper.